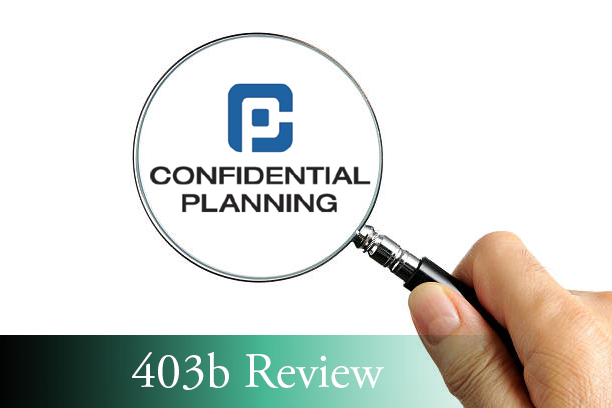 This is a detailed review of Confidential Planning, a lesser known 403(b) retirement plan provider. If you work in a K -12 school district with a 403(b) option, especially in the Tri-State area, there is a chance you have access to Confidential Planning on your district’s 403(b) provider list. 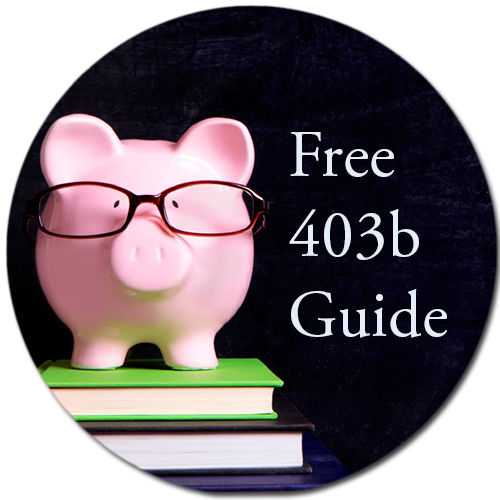 We suggest reading 403b basics and our Teachers 403b Shopping Guide if you are unfamiliar with 403bs. The world of investments can be intimidating, but really it’s like any other shopping experience. You want to compare prices and features and understand exactly what you’re buying. This review will help you do that. How will this product review help you? Learn about a lesser known provider that may be an available option at your school district. 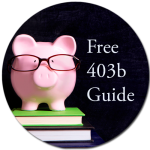 Understand how to compare this product’s fees, features, and benefits against other available 403(b) investments options to determine if it is priced competitively. For readers who have found my website and don’t know much about me, I am a fee-only financial planner held to the fiduciary standard. I am legally obligated to make recommendations that are in the best interest of my clients. I’m also on a mission to inform teachers and other school district employees about the companies and products that are offered in the 403b marketplace. I am a financial advisor who does not advise or manage any client accounts at Confidential Planning. This is a review, not a recommendation to buy or sell a mutual fund or variable annuity. Confidential Planning has not endorsed this review in any way, nor do I receive any compensation for this review. This review is meant to be an independent review at the request of a client so they can see my perspective when breaking down the positives and negatives of this an open architecture platform company. Before purchasing any investment product, be sure to do your own due diligence and consult a properly licensed professional should you have specific questions as they relate to your individual circumstances. This information was gathered from Confidential Planning’s website –and is not a substitution for individual tax or legal advice. I’m just reporting on the main facts; to find answers specific to your situation may require a review of the full plan for applicable details. Confidential Planning is a 403b retirement recordkeeping platform currently acting as a provider in school districts in the United States. Confidential Planning is headquartered in Syracuse, New York; they have a strong presence throughout the northeast. Hundreds of school districts, hospitals, universities and non-profit organizations entrust them with providing retirement planning services for their employees. Pinnacle Holding Company, LLC is the parent company of 1) Pinnacle Investments, LLC, 2) Confidential Planning I, LLC and 3) Pinnacle Capital Management, LLC. Confidential Planning Corporation. Pinnacle Investments, LLC is affiliated with Pinnacle Advisors, LLC. Pinnacle Advisors, LLC is an SEC-registered investment advisor. The advisory services provided by Pinnacle Advisors, LLC are separate and distinct from the advisory services provided by Pinnacle Investments, LLC, or any other subsidiary of Pinnacle Holding Company, LLC. Open architecture is used to describe a financial institution’s ability to offer clients products and services. Open architecture ensures that a client can satisfy all their financial needs and that the investment firm can act in each client’s best interests by recommending the financial products best suited to that client, even if they are not proprietary products. Open architecture helps investment firms minimize the conflict of interest that would exist if the firm only recommended its own products. Confidential Planning offers a multifamily fund menu of investment options inside their open architecture 403(b) platform. Investors have access to 28 mutual fund options including equity and fixed income portfolios as well as various target date retirement portfolios. They offer access to thousands of no-load, no-transaction fee mutual funds on their 403(b) Multi-Choice program. Participants can customize the 403(b) Multi-Choice program to construct an investment portfolio based on your needs or overall financial plan. 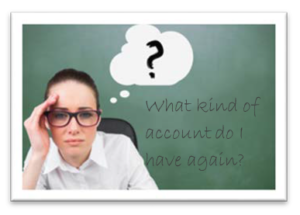 At any time, you may request to add (or delete) funds to your account based on availability at the 403(b) Multi-Choice. When working with Confidential Planning you will encounter administration fees and costs that are assessed to your account which will be direct as well as indirect. Direct fees are the contractual fees that are visible to the plan participants and generally include an annual custody fee and a participant fee charged by Confidential Planning. Indirect fees are fees charged by the mutual fund families that are netted against the value of that you have invested in each investment fund as part of the funds overall expense ratio and are not visible to you the participant. Confidential Planning charges a custody fee of 15 basis points (0.15%) of the account value annually for its recordkeeping services. These fees are assessed against the participant’s accounts monthly. .25 to firm, .75 to advisor. The maximum annual asset fee charged will be 1.25% points for advisory services. Management fees are separate and distinct from other fees that might apply, including transaction fees, underlying mutual fund fees and expenses paid to the fund by shareholders of the fund as outlined in each fund’s prospectus, and custodian fees. A wide range of account and investment data is available on Confidential Planning. Paper statements are mailed quarterly; however, statements can be accessed online. 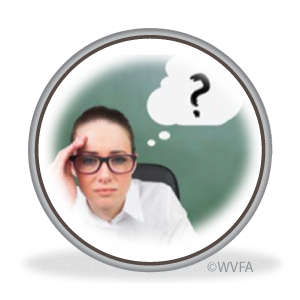 When working with an advisor, you should be aware of the various ways in which the adviser can be compensated. There are a few layers of fees at this vendor that you will need to be aware of. Direct Fees: Confidential Planning’s fees a 0.15% fee on assets & $40 per year. Indirect Fees: Investment fees will be the same. An expense ratio is the cost investment mutual fund companies charge investors to manage a mutual fund. The expense ratio represents all of the management fees and operating costs of the fund. Advisor / Sales Rep Compensation: Confidential Planning 403(b) accounts can only be set up and managed by an advisor that is affiliated with Confidential Planning or one of its subsidiaries. The way these advisors are paid for their services is on a fee-basis. Fee-based advisors: Confidential Planning’s advisors are fee-based financial planners are registered investment advisors with a fiduciary responsibility to act in their clients’ best interest. They do not accept any fees or compensation based on product sales. Fee-only financial advisors are paid directly by clients for their services, be it a flat fee, hourly rate or a percentage of assets under management, which adds up to 1.15% ibn total of a client’s portfolio value each year. Fiduciary standard and DOL Compliant: K-12 403(b) plans are Non-ERISA, meaning they do not comply with the Employee Retirement Income Security Act of 1974. Confidential Planner’s adheres to the fiduciary standard, which means they must put the client’s best interest first. Access to Vanguard’s Target Date Retirement Funds: These Target date retirement funds have a 72% lower average expense ratio then other mutual funds with similar holdings. Fee Transparency: Confidential Planning has transparent fees, so you know how much it is going to cost you annually to use their platform. • Flexibility: Each client is given the opportunity to build a comprehensive financial plan and to work with a CFP if they so choose. No extra charge for planning services. Access to a CFP professional: Pinnacle Investments, LLC has several advisors with a Certified financial designation that will construct a basic financial plan at no additional charge. For those that have not done any financial planning, this may justify paying higher fees, especially if you are just starting out. Money Tree software is used to build financial plans. Clients have their own unique login and can adjust or review their plan at any time. There is no self-directed account option if you work with Confidential Planning. This mean you must work with an advisor that is affiliated with Confidential Planning or one of its subsidiaries. Their platform only gives you access to 28 Mutual Fund options to invest in, this may or may not give you enough options to build a desired portfolio. Accounts cannot be set up or managed without a representative of Confidential Planning. This means you will have to find an in-house representative that you feel comfortable building a financial relationship with. You may already be working with a financial professional that you trust who helps you make investment related decisions, but you will still have to pay the advisory fees related to your CP account. They do not provide a Roth 403(b) option. Confidential Planning is a company that offers a multi-fund family 403b platform. They are one of the few companies that offers an open architecture mutual fund platform available with TPAs. The opportunity to work with an advisor that also has value added services ex. Financial Planning. Wants to turn over the responsibility of managing the investments to an investment advisor. Confidential Planning’s has a large presence in upstate or central region of New York. So, if you live in that area & want to meet face to face it might make sense to research them further. Custodial fees: 0.15% of your account value. 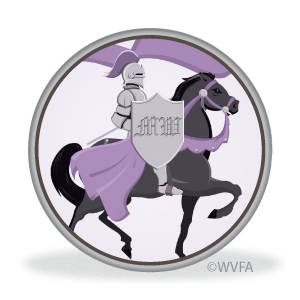 Advisor fee: The combined advisory fee is 1.0% per annum. This fee is said to be is negotiable with the advisor, but we cannot confirm or deny that. Investment fund fees: These will vary depending on which funds are selected. Confidential Planning gives you access to some of the lowest cost funds available in the industry, but there are others that are on the higher side, so do your homework. There are no Surrender Charges to leave Confidential Planning’s platform, but some funds may have surrender charges. No death benefit fees are charged on any on the investment options on the platform. If you don’t currently use Confidential Planning or another open architecture platform now may be a good time to take a look and evaluate these types of companies to see if they would be a good fit for your long-term goals. If you are interested in a more detailed analysis specific to your situation, feel free to contact me. Thanks for reading this review. It’s always satisfying for me to provide some clarity on how they really work. If you have an annuity or other financial product you’d like to see an in-depth review on just let me know, I’d be happy to take a stab at it. If you know a teacher or someone who is thinking about an annuity and might benefit from this post, feel free to forward it on to them via email. Are you a Facebook user? One of the best ways to spread this message around is by “sharing” the post by using the Facebook icon below (it’s a blue square with a white F on it). No investment strategy, including asset allocation and diversification, assures a profit or protects against loss. 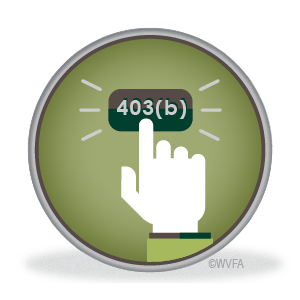 If you are like many school district employees, there is a good chance you are using a 403(b) plan as a supplement to your pension in order to build a healthier retirement. Many of you probably signed up with a sales rep or agent that came to visit your school offering their proprietary product. Perhaps they bought you lunch in the teacher’s lounge and gave a short presentation about the 403(b) basics. You listened and absorbed as much as you could, but there is a chance that all your other provider options were not fully presented to you. Aspire does not employ or compensate a sales staff to go into school districts and solicit participants. Aspire mainly derives new business by either a participant contacting them directly or through independent investment advisors, so many school district employees probably have never had a chance to learn about the benefits of using Aspire Financials’ 403b platform. 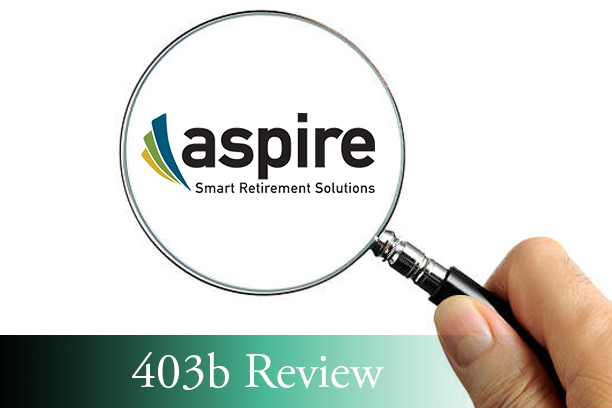 This is a detailed review of Aspire Financial, a lesser known 403(b) retirement plan provider. If you work in a K-12 school district with a 403(b) option, there is a chance you have access to Aspire Financial on your district’s 403(b) provider list. Make you aware of one of few “do it yourself” retirement plan options that could help you reduce your fees and expenses vs. other advisor directed plans. For readers who have found my website and don’t know much about me, I am a fee-only financial planner held to the Fiduciary Standard . I am legally obligated to make recommendations that are in the best interest of my clients. I’m also on a mission to inform teachers and other school district employees about the companies and products that are offered in the 403b marketplace. I have clients that use this company & I am a financial advisor who is approved to manage accounts at this Aspire Financial. This is a review, not a recommendation to buy or sell a mutual fund or variable annuity. Aspire has not endorsed this review in any way, nor do I receive any compensation for this review. This review is meant to be an independent review at the request of a client so they can see my perspective when breaking down the positives and negatives of this an open architecture platform company. Before purchasing any investment product, be sure to do your own due diligence and consult a properly licensed professional should you have specific questions as they relate to your individual circumstances. This information was gathered from Aspire Financial’s website –and is not a substitution for individual tax or legal advice. I’m just reporting on the main facts; to find answers specific to your situation may require a review of the full plan for applicable details. Aspire Financial is a company that offers a multi-fund family platform in the 403b marketplace. Aspire is an open-Architecture retirement recordkeeping platform currently acting as a provider in over 3,500 school districts in the United States. 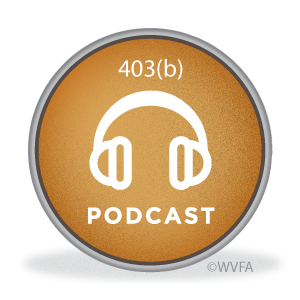 They have been in the 403(b) marketplace since 2012. Aspire is one of the few companies that offers an open architecture mutual fund program which allows plan participants to manage their own accounts or to work with the advisor of their choosing, the investments of their choosing, and money managers or investment strategists of their choosing. Aspire Financial offers a wide range of investment options inside their platform. Investors have access to over 10,000 investment options including numerous equity and fixed income portfolios as well as various risk based asset allocation and target date portfolios. They offer access to thousands of no-load, no-transaction fee mutual funds on their 403(b) FundSourceSM program. Participants can customize the 403(b) FundSourceSM program to construct an investment portfolio based on your needs or overall financial plan. At any time, you may request to add (or delete) funds to your account based on availability at the 403(b) FundSourceSM custodian. They also offer a guaranteed interest option and professional money management. Aspire makes available a selection of more than 10,000 mutual funds from over 500 fund families. This includes those share classes available from the associated fund family. Some funds may require certain minimum contribution levels in order to meet institutional share class availability. Aspire does not have proprietary mutual funds. Aspire partnered with Prudential to develop an unallocated fixed-annuity that trades like a mutual fund. All money receives the same rate of return, making it easier for a participant to understand the crediting rate. There are no transfer restrictions associated with the option. There are also no surrender charges. The option is not available in every state and is only offered through advisors who are insurance-licensed and have an appointment with Prudential. *May not be available in all states. By using third-party investment managers (Strategists), participants—and, if applicable, their advisors—are able to select from portfolios designed by professionals, instead of picking individual funds. The money manager is responsible for monitoring the performance and rebalancing or changing funds to help meet the performance objective. When working with Aspire or other custodial brokerage firms you will encounter administration fees and costs that are assessed to your account which will be direct as well as indirect. Direct fees are the contractual fees that are visible to the plan participants and generally include an annual custody fee and a participant fee charged by Aspire. Indirect fees are fees charged by the mutual fund families that are netted against the value of that you have invested in each investment fund as part of the funds overall expense ratio and are not visible to you the participant. So your fees may differ from other participants depending on multiple factors. Aspire charges a custody fee of 15 basis points (0.15%) of the account value annually for its recordkeeping services. These fees are assessed against the participant’s accounts monthly. This is another ongoing fee charged for the investments inside of the mutual funds. The internal expenses of mutual funds range from 0.05% to 2.09%. Reflected in the mutual funds selected. Some share class mutual funds may have surrender charges. Please check each funds prospectus for more details. If you choose to use money managers, fees specific to the strategist are deducted from participant account balances. A wide range of account and investment data is available on Aspire’s website, including links with prospectus, annual reports, semi-annual reports, and SAI. Within online accounts, participants have links to educational videos, FAQs, white papers, and several calculators from S&P and other sources. Rebalance investments based on new investment election percentages. Customer Service Support – Representatives are available Monday – Friday, 8:00 a.m. – 8:00 p.m.
Paper statements are mailed quarterly; however, statements can be accessed at any time and for custom time periods via this portal. Many investors feel comfortable putting their investment decisions in their own hands. Self-directed brokerage accounts enable the participant to set up, pick funds and manage their account without an advisor. Being a self-directed investor has its advantages, as it allows you to take more control over your money. Lower costs — investors who use to use self-directed option avoid any advisory fees that might be charged when working with a financial professional on Aspire’s platform. Also participants can choose from hundreds of no-load, lower-cost mutual funds choices that are available. Fewer conflicts — Hiring a financial advisor could invite conflict of interest. Many advisors are paid more to sell certain products that carry higher fees. Some less ethical advisors will steer you toward products where they get the largest commission when you invest in them. Self-directed investors eliminate many of the conflicts of interest that can work against them. If the participant chooses to work with an advisor, they should be aware of the various ways in which the adviser can be compensated. When working with an advisor or Registered Rep there are a few layers of fees that you will need to be aware of. Direct Fees: Aspire’s fees are still the same. 0.15% fee on assets & $40 a year. Advisor / Sales Rep Compensation: Aspire 403(b) accounts can be set up and managed by Registered Reps or Investment Advisor Reps. The way advisors are paid can lead to some big differences between the two and the services you receive from them. Commission-based advisors: Advisors on Aspire’s platform that are paid by commission receive their compensation from their clients purchasing mutual funds with a “load”. A load fund is a mutual fund that comes with a sales charge or commission. The fund investor pays the load, which goes to compensate a sales intermediary, such as a broker, financial planner or investment advisor, for his time and expertise in selecting an appropriate fund for the investor. For a commission-based advisor, the more transactions they complete or the more accounts they open, the more they get paid. Participants should familiarize themselves with the various Mutual Fund share classes that Aspire offers. Each share class differs in what type of load or compensation their advisors will receive up-front & in the future. Fee-based advisors: Fee-only financial planners are registered investment advisors with a fiduciary responsibility to act in their clients’ best interest. They do not accept any fees or compensation based on product sales. Fee-only financial advisors are paid directly by clients for their services, be it a flat fee, hourly rate or a percentage of assets under management, typically around 1% of a client’s portfolio’s value each year. Aspire has one of the most extensive open architecture platforms in the 403b marketplace. Retirement investors can select their own mutual fund investment or work with the assistance of a Financial Advisor Representative. Aspire has some industry leading technology that enables you the manage your retirement account through their web-based platform. Whatever your investment philosophy, passive index investing to socially responsible investing Aspire provides funds that could potentially fit your needs? Aspire’ customer service may be slower than some participants expectations and what they may be accustomed to with providers. As an example, processing time for opening a new account is 7 – 10 business days. If you chose to “do it yourself” be aware that you will need to build knowledge regarding investing, spend time managing your own account & hopefully have the desire to do this on your own. Aspire Financial is a company that offers one of the most diverse multi-fund family platforms in the 403b marketplace. 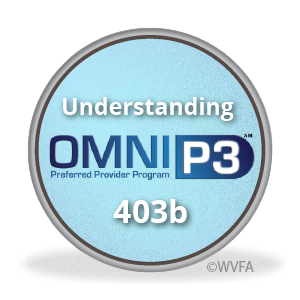 Selecting a 403b provider that only sells their proprietary products may not offer all the financial products a client needs or that are in a client’s best interests. Open architecture makes it possible for investors and their advisors to select the best funds available and obtain the best potential investment performance given their needs and risk tolerance. Open architecture also helps investors obtain better diversification and possibly reduce risk by not placing their entire future investment returns in the hands of a single investment firm and its approach. Many companies offer school district employees their proprietary mutual fund products but if the participant is unhappy with any component (fee/performance) of the plan, it is forced to close their accounts and transfer to another vendor. At Aspire you have access to 500 different families of mutual funds so there is a good chance that you can invest in the same funds that is being offered at any of the other 403b companies and possibly at a lower cost. Other unavoidable fees are the investment fund fees, but these will vary depending on which funds are selected. Aspire gives you access to some of the lowest cost funds available in the industry, so do your homework. If you choose to work with an advisor, then there is a good chance there will be an additional fee which is negotiable with would be negotiated between you and the advisor. Aspire has no policy for determine what advisers charge for there services. There are no Surrender Charges to leave Aspire’s platform but some funds may have surrender charges. If you don’t currently use Aspire Financial or another open architecture platform now may be a good time to take a look and evaluate these types of companies to see if they would be a good fit for your long-term goals. If you are interested in a more detailed analysis specific to your situation, feel free to contact me. Teachers have a lot going on. On top of their all-encompassing job, many have families, children and other personal obligations that they must juggle along with everyday activities and tasks around the home. So, when it comes to choosing a 403b vendor to work with, many teachers choose blindly, simply following the course that their colleagues or friends have taken. They trust the professional who came to their classroom, and, from a 10,000-foot glance, thought the plan summary sounded good – “There’s no time to read all the fine print.” But this can be a very costly mistake! Not all school district employees have the same situation or needs. And more importantly, the vendor that “your friend/colleague” selected, may not have been researched. For example, did you know that some charge fees that are avoidable and could stunt the growth of your retirement nest egg? Below are some guidelines to help you choose a 403b vendor. Fees may have the biggest impact on the return of your 403(b) plan because they cut directly into your rate of return. Expense Ratio: It costs money to run a mutual fund, sometimes more than others. This expense, also known as a management fee or operating expense, is typically deducted from the fund’s total assets before your share price is determined. Sales fees or Commissions: On certain mutual funds, you will pay an upfront fee sometimes called a “front-end load”. Depending on the amount of your investment, you could qualify for a lower upfront fee called a “breakpoint”. Redemption or surrender fees: On certain mutual funds,, you pay a “back-end or deferred load”. These fees will apply if you sell the mutual fund within a certain period of time. Short Term Trading fees: Mutual funds are designed to be long-term investments, so trading fees were created for some funds to discourage short-term trading. 12(b)1 Service fees: Many funds have an ongoing service fee that is paid to a financial advisor or the firm he or she works for as compensation for marketing the fund. Just like the expense ratio, this service fee will be deducted out of the total fund assets before your share price is determined. 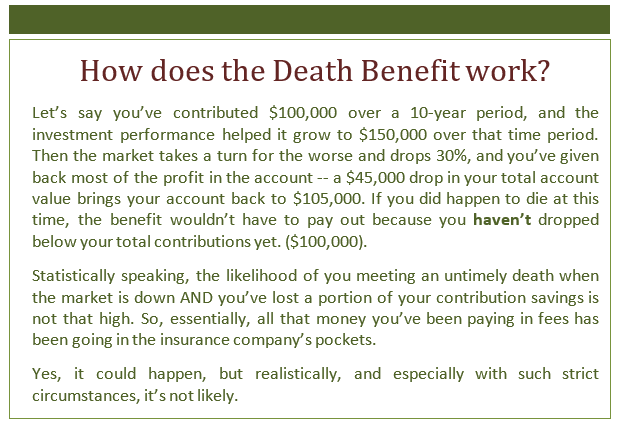 Mortality and expense risk fees: Also known as the Death Benefit. Participants pay the mortality and expense (M&E) fee each year to an insurer to offset the risk of investment loss, plus fees involved to pay annuity provider expenses. According to the Securities and Exchange Commission, that generally means an average of 1.25 percent annually, which equates to $250 a year on a $20,000 account. (Read our recent blog post for more on this). Administrative fees: These can be flat fees or a percentage of an account (typically, 0.15 percent, or $30 for a $20,000 account). Sales loads: These are sales commissions an investor typically pays up-front when buying an annuity. These costs cut directly into the actual amount available to invest. For example, a 7 percent fee on a $10,000 investment will cost $700, meaning you’ve effectively only invested $9,300. These are common in 403(b) plans. Investment Expense Ratio: Inside a variable annuity, the underlying stock and bond investment choices, called sub-accounts, will have an investment management fee which can range from .25 – 2.00% of the value in that account per year. Surrender charges: These will apply if you sell an annuity within a certain period of time, known as the surrender period, which can last up to 15 years after purchase. This charge, also called a Contingent Deferred Sales Charge (CDSC), is a percentage of the asset balance at the time a person withdraws or transfers and depends on how long the money has been in place. Fees for Optional Features: Special features offered by some variable annuities, such as a stepped-up death benefit, a guaranteed minimum income benefit, or long-term care insurance, often carry additional fees and expenses. To evaluate the fees of an investment product you’re considering, ask about them. Fees can dramatically impact an investment’s potential performance, so, when evaluating investments, it is also useful to review, compare and contrast their previous performance. However, keep in mind that past performance is not necessarily an indicator of future returns. A good way to assess past performance is to compare a product’s performance to a comparable benchmark index. This information can be found in a fund’s investment prospectus. And can be done for you if working with a financial advisor. For example, if you’re considering a large-cap growth fund, how does its performance compare with the S&P 500 benchmark? If the fund has come close to matching or exceeded the performance of the index, it may be worth considering. On the other hand, if the fund has significantly underperformed the index, you may wish to look elsewhere. 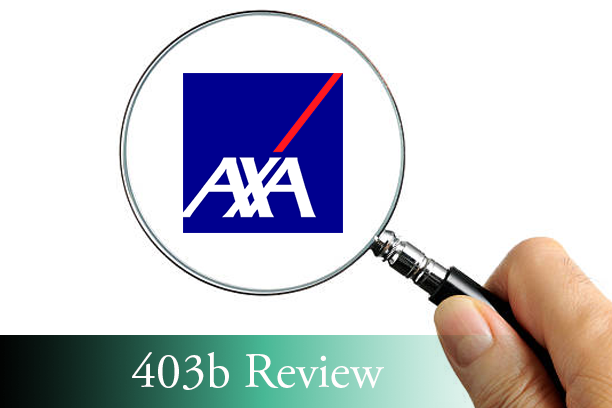 If you’re considering an insurance company as your 403(b) plan vendor, it is prudent to review and compare its financial strength and stability before purchasing a product from that company. Because these companies sell insurance products that obligate the insurer to pay a benefit/return at some point in the future, it is important to verify that the insurer is in good financial health so it can make good on this obligation. Choosing a suitable 403(b) vendor takes time. That’s why more and more education professionals are turning to advisors who act as fiduciaries for help and expertise with their financial and retirement planning. The right financial advisor can take on this task for them and aim to help ensure they’re on the right track toward reaching their retirement goals. But beware: Just like 403b vendors, not all financial advisors are created equal. Choosing a financial professional is an important decision. It can take a little time to research a financial advisor, but time spent now can save you time and money in the long-run. Hiring a financial advisor to help you make informed financial decisions can be extremely beneficial. But choosing a professional to work with is one of the biggest decisions you will make. This person can determine when you can retire, how you’re able to spend that retirement and what you’re able to leave behind when you’re gone, if anything. Don’t follow the herd. Instead, start a new trend that includes research, insight and smart decisions. It may take some time, but it’s time well spent for sure! 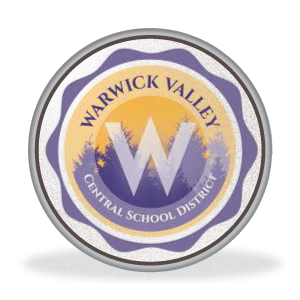 Warwick Valley Financial Advisors works specifically with teachers and school district employees and is familiar with the needs and issues these hard-working professionals face. Contact us to find out how we can help, or schedule an appointment now to discuss your personal situation in more detail. *Investing in mutual funds involves risk, including possible loss of principal. Variable annuities are suitable for long-term investing, such as retirement investing. Withdrawals prior to age 59-½ may be subject to tax penalties and surrender charges may apply. Variable annuities are subject to market risk and may lose value. Both public and private school teachers have special financial considerations that a high-quality financial advisor should address and incorporate into a financial plan for their clients. But is this happening? 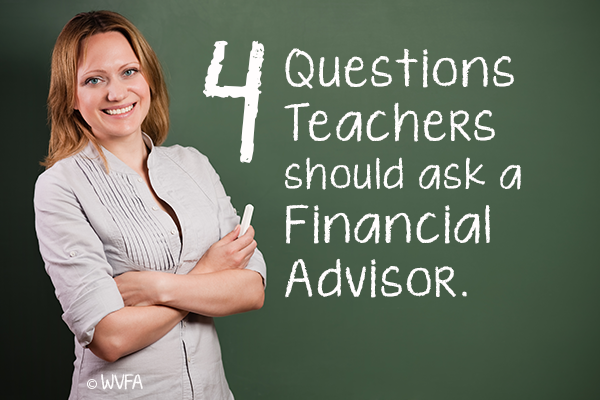 Below are 4 questions that teachers should ask when they are choosing a financial advisor. 1. Are you a fiduciary? What are your certifications? Your very first question should determine whether the financial advisor you are considering has a fiduciary responsibility to you. Simply put, fiduciaries must place your interests above their own, rather than providing recommendations that will make the “advisor” the most money. Fiduciaries must disclose any conflicts of interest and make a good faith effort to provide all relevant information to aid you in making your financial decisions. Believe it or not, not everyone who calls themselves a financial advisor follows a fiduciary standard. Consider working with a financial advisor who is in fact a fiduciary. Financial advisors with fiduciary obligations are held to a higher standard than the financial professionals who are required to meet only the “suitability” standard, which only obligates them to provide “suitable” recommendations that match the client’s general needs and risk profile, rather than acting in the client’s best interest. Some insurance agents, broker-dealers and personal bankers must only meet the suitability standard. A financial advisor with an advisory relationship with you can help you determine your insurance and investment needs, and as a fiduciary, is obligated to act solely on your best interest. You should also find out the certifications of the financial advisor with whom you are considering working. 2. What financial planning services do you provide? Many financial advisors provide a range of financial services beyond investment management, including retirement and estate planning, tax and insurance advice, and budgeting and cash flow recommendations. You should also ask whether the financial advisor you are considering has advised teachers before. In particular, retirement planning is a particularly salient issue for teachers, who are unique in being one of few careers that still pays pensions to retirees after they have completed a certain number of years of service and reached retirement age. Financial advisors who specialize in working with teachers and school district personnel can personalize your overall financial plan in the context of a teacher’s financial needs, life goals and income and spending projections. In New York, most public school teachers are part of either the New York State Teachers Retirement System or the New York City Teachers Retirement System, meaning teachers contribute a small percentage of their salary to the pension plan in return for receiving a guaranteed monthly income upon reaching retirement age. Financial advisors can also advise teachers on their 403(b) retirement account investment options and contribution rates, as well as provide guidance on how much, if any, the client should also consider contributing to a traditional or Roth IRA. Experienced advisors will also be able to advise teachers on other financial considerations, including potential tax deductions for student loan interest, national and state loan forgiveness programs and deductions for unreimbursed classroom expenses. 3. What are your fees and expenses? Financial advisory firms differ in how they charge clients, but a good financial advisor will not make this process difficult to understand and will readily answer any questions you have about management and advising fees. In many instances, you will pay either a fixed fee as a dollar amount or as a percentage of your assets invested with the firm. Some firms might charge a retainer fee for ongoing access to a financial advisor in addition to charging clients for portfolio management. Be sure you understand what you will be charged and how often. For every financial planning firm that you consider, you should understand which services you will be able to access. There may be a tiered system for services, such that you will have more access to guidance or contact with your financial advisor if you pay for a higher tier service. These more extensive services may be more extensive than you need, or they may be useful to you, especially if you would prefer regular feedback on your financial plan. For example, will you just receive investment advice or portfolio management, or will your fees cover other financial services? Advisors differ on the services they offer, but these other domains could include estate plan suggestions, retirement projections and insurance needs assessments. One of the advantages of working with a financial advisor who has a fiduciary duty to advisory clients is that they often provide competitive and negotiable fees for services for you when they are recommending an investment. In a brokerage relationship, clients typically pay a commission on each transaction in the account. You can use a pre-written outline that I’ve created on my website to get this conversation started. That resource can be found here. 4. What is your investment and financial planning philosophy? Finally, the best financial advisors are aware of the limitations of planning – namely, that the future is impossible to predict, and no plan can be perfect. However, different advisors have different philosophies on how they approach the overall process of preparing financially for the future. Clients should also consider their own investment philosophy and the degree of risk they are willing to incur as they explore potential financial advisors. The client’s own investing preferences should match the approach used by the financial advisor he or she decides to work with. Approaching a prospective financial advisor or financial-advisory firm might seem intimidating, but reputable advisors should be happy to answer your questions about their process and the services they provide. In an industry based heavily on the strength of a financial advisor’s reputation for providing high-quality services, it is in the advisor’s best interest to understand your needs, and both the client and the advisor should communicate their expectations clearly to ensure that they will be a good fit for each other for years to come. Warwick Valley Financial Advisors is a comprehensive financial-services firm that specializes in wealth management for teachers, school district executives and their families. Contact me directly to see how we can help you.